Most wish the energy of the New Year would carry throughout the entire year. There’s lots of energy around Bible reading plans. There are hundreds, maybe thousands of Bible reading plans out there and everyone is excited about their plan. We want to know which you’ve chosen for 2019? 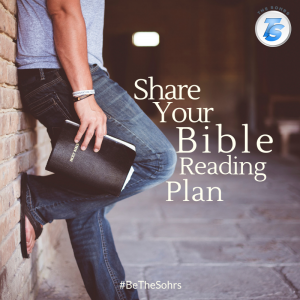 If you have a plan, show some love for it on this week’s BeTheSohrs focus; HEART, if you are reading a one year Bible plan.